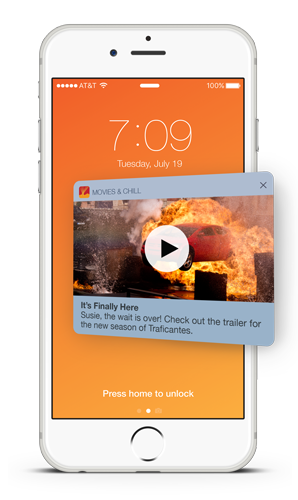 In the mobile industry, a push notification is an app message that a user receives directly to their smartphone’s homescreen. They can be sent at anytime but are most effective when based off of contextual information or triggered in-app events. They’re a great way to re-engage with users, since they don’t have to be in the app to receive the push notification. 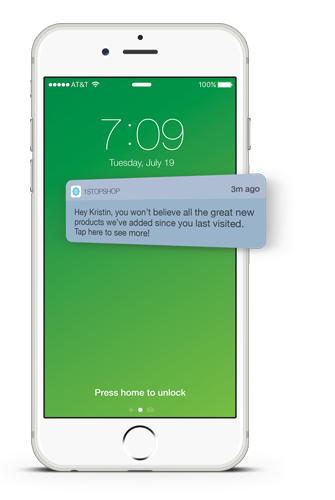 Mobile app product owners and marketers send push notifications using a marketing automation tool. On a very high level, think of it as a similar process as how an email is sent. There are three types of push notifications: standard, rich, and location-based. See how easy Push is with Localytics. A standard push notification is a text-only message. 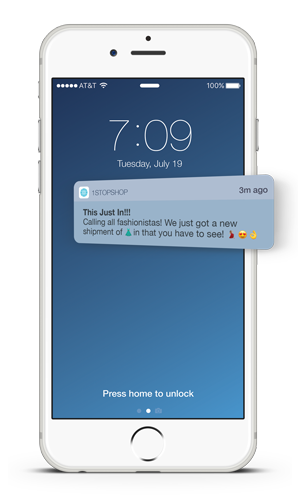 This was the first-ever type of push notification to be widely available and adopted by mobile marketers and is still the most popularly used today. A rich push notification combines standard text with rich media. Think: images, videos, or GIFs. Rich push notifications launched on Android devices in fall of 2015 and iPhone devices in fall of 2016. Not surprisingly, they have proven to have much higher engagement rates than their standard push counterparts. A location based messaging notification uses geofencing technology to trigger based on a user’s location. Location based messages are virtual fences that are placed around a real-world location (e.g. airport, shopping plaza, store location) and can trigger real-time push notifications whenever a user enters or exits your geofenced area. Where do users manage push notifications? 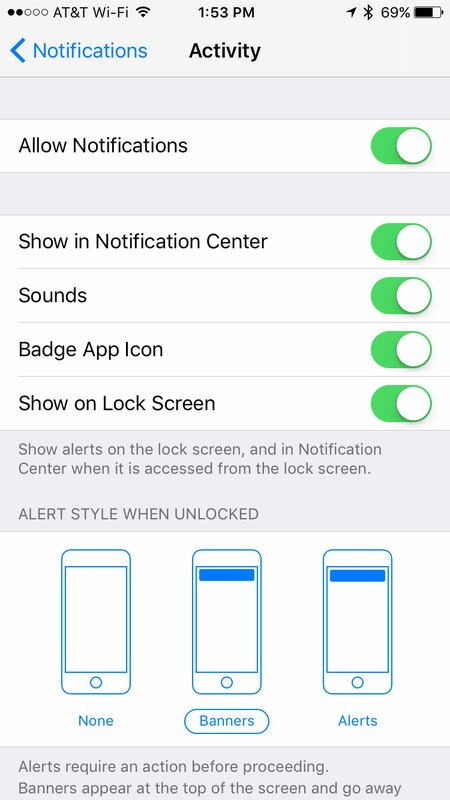 Users manage their push notifications under the settings section of their iOS or Android device. 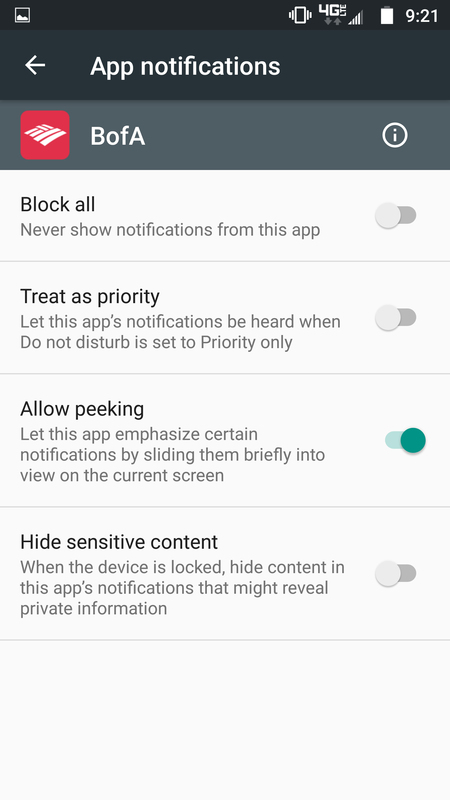 You can also access an app’s notification settings directly by pressing and holding down on a notification from that app. A little gear icon will appear. Tap on it and you will be taken directly to that app’s notification settings. When should app marketers send push notifications? App marketers should only send push notifications when it is highly relevant to the end user. In order to accomplish this, they need the ability to collect deep user insights so they can ensure they’re continually tailoring push notifications to the end user. If an app sends out broadcast messaging to all users, there is a very high risk they will opt out or churn from the app altogether. Mobile is an unforgiving platform. If you send the above broadcast push notification to fans who don’t care about the Red Sox (Ahem….Yankees fans?) many will disable push notifications or even churn. Detailed user targeting allows you to send messages to the right audience, at the right now. 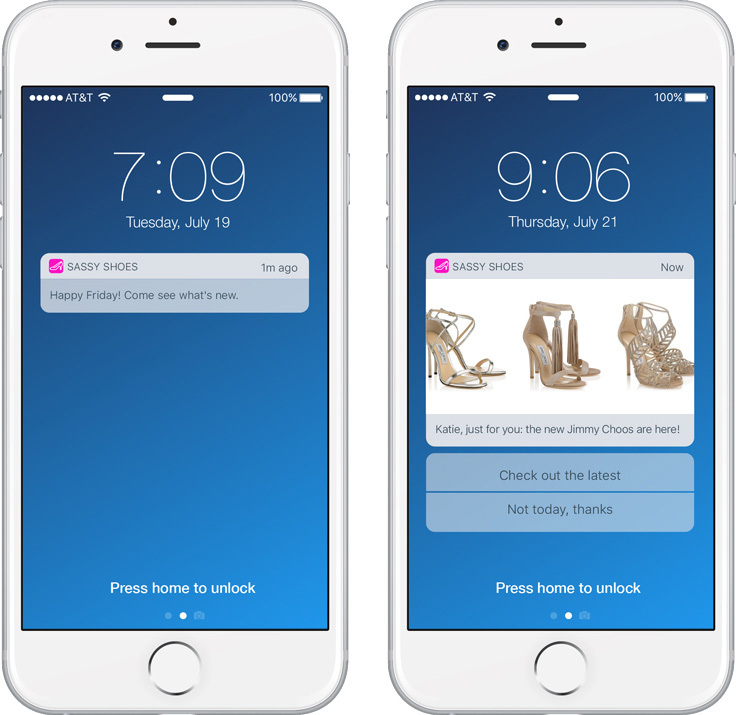 Why are push notifications important to app marketers? Push notifications are one of the most powerful tools at an app marketer’s disposal. It gives mobile app marketers the unique opportunity to engage (or re-engage) with users outside of the app. How effective are push notifications?